As mentioned yesterday, the third and final book in The Great Way has come out, and I’m doing something of a blog post to spread the word. Some links! I wrote advice for running a successful Kickstarter on Charles Stross’s blog. It’s not new information over there, but I don’t think I’ve ever organized it so well. Using the video series EVERY FRAME A PAINTING as inspiration, I sat down to closely analyze a section of text. I think it’s valuable to look at individual sentences and phrases at that level because those simple choices have such an effect on the story as a whole. Over on Mary Robinette Kowal’s My Favorite Bit series, I wrote about my favorite thing in the whole 375K-word trilogy. In fact, with all the chases, fight scenes, big magic, triumph and tragedy in those books, I suspect readers will be surprised to find out my favorite bit is a single line of dialog. I also have the Spotlight editorial in the Online Writers Workshop newsletter, where I talk about the concept of talent, why it doesn’t mean what people think it does, and why it’s pernicious. Today’s post appeared on Kate Elliott’s blog. It’s about how a Christmas holiday season where my wife and I squeezed nine people (including a newborn baby) into a two bedroom apartment, and how that made me change the way I think about my writing. 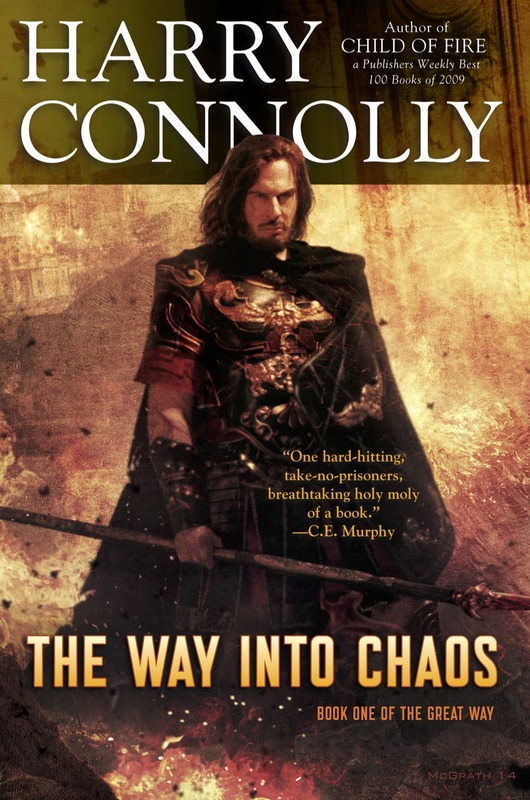 Finally, not a blog post, but a review: The Way Into Chaos written up at BoingBoing. If any of those seem interesting, give them a read. If you think they’re valuable, give them a share. Also, there’s more to come.